I have just returned from visiting the illusive kingdom of the ‘Thunder Dragon’ for Kona Marathon’s sister marathon, the Bhutan Marathon. What an incredible journey and life renewing experience. Bhutan is a small country nestled in between China and India in the Himalayas. A land of high mountains and deep valleys, where compassion and wisdom are the benchmark against which all things are measured, and where the King rules by ‘Gross National Happiness’. The 4th Bhutan Marathon had 490 participants coming together from all over the world. The 2018, March 3 event will have a cap of 750 with 500 slots for runners from other countries. 250 of those slots have been given to the Sister Marathon Peace Initiative Tour and they will go quickly. 7 days/6 nights Feb 28 – March 6, 2018. I found a place I will never forget, people who will remain my friends for life, and was given the opportunity to visit a country that has been lost in time that welcomed me with open arms. Most of the course follows the river, on roads through the beautiful countryside, with some off road. Plus, the course runs across a suspension bridge above the wide river roaring below you. The children came out to join in and run along with you as the local people cheer you along your way. 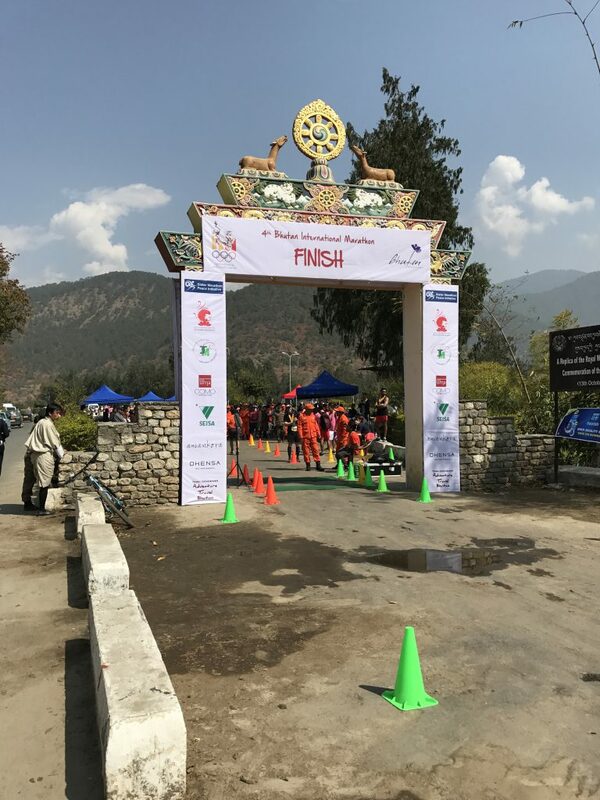 The Finish Line was at the picturesque Punakha Fortress and temple. With a beautiful award celebration in the evening under the stars with cultural dancing, local food and a beautiful bon fire. The beauty of this race is not only in the amazing countryside but in the people’s true love of country and their unending joy of life. Accommodations in 4 Star hotels in three different villages. Experienced English speaking guides sharing their deep knowledge ensuring an authentic experience that was enriching and enlightening with their country’s history, culture and treasures. 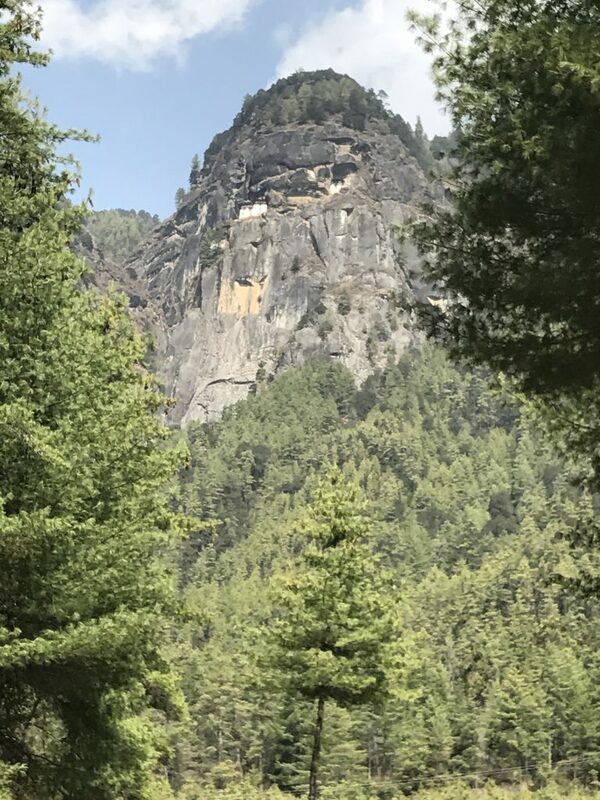 A trek to the wondrous “Tigers Nest” Monastery in Paro was a life changing experience in of itself, and to be invited into scared temples with Golden Buddha’s and art work hundreds of years old was awe inspiring. 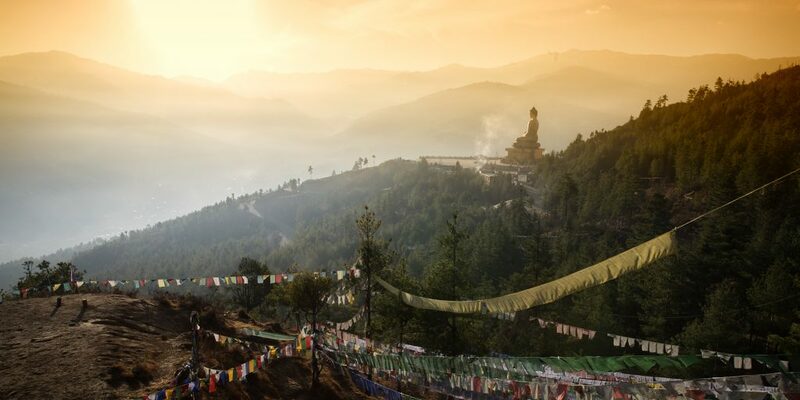 In the capital city of Thimphu, seeing a “Wonder of the World” – a 167 ft tall bronze Buddha overlooking the city way way below was breathtaking to behold. Bhutan is one of the most isolated places in the world. A beautiful hidden treasure where the richness of its simplicity was a welcoming surprise. Unlike any place I have been before. A “must” event to put on your list of “very special” places to travel to. The Kona Marathon and Family Runs is honored to announce that for the third year we have sponsored a Kona Marathon Military Shadow Run. Support of our Service Members putting themselves in harm’s way to protect and ensure our freedom is very important to our management team. Being deployed in foreign countries and combat zones does not normally present our troops the opportunity to run in organized races. The Kona Marathon feels it is very important to promote these Shadow Runs in order to help build and maintain moral. The Kona Marathon Military Shadow Run was held in May in order to avoid the intense Middle East desert heat in June. Our men and women in uniform participated in all four Kona Marathon events; Marathon, Half Marathon, 10k and 5k and were awarded finisher medals and t-shirts for their respective races. In return, we were sent an U.S. Flag that was flown over the skies of Afghanistan in a combat refueling mission in support of Operation Enduring Freedom. This flag will be proudly flown over our race finish line on June 23. For details on the 20th Anniversary Kona Marathon and Family Runs being held on June 22-23 and the entire week of events, visit konamarathon.com.